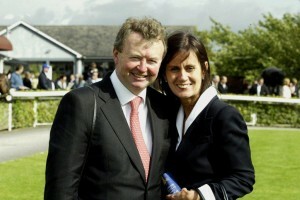 Brian Grassick Bloodstock was founded in 1991 by Brian and Sheila Grassick and set up offices in Maynooth, Co. Kildare. This followed on from Brian Grassick spending 17 years working successfully with BBA Ireland. It was here that he worked closely with the legendary bloodstock agent Tom Cooper who was his mentor and whom he greatly admired. In 1996 the agency moved from Maynooth to its current location at Newtown House near Naas, in Co Kildare. Brian and Sheila grew Brian Grassick Bloodstock into an internationally respected and renowned bloodstock agency. It has gone from strength to strength since its inception and in 2008 their eldest daughter Cathy returned from Australia to join the agency as a bloodstock agent. Sadly Brian Grassick passed away in 2009 but his wife Sheila and his daughter Cathy have continued to run the agency to the high standards for which it has become so well known.